loudspeaker mainly consists of basin stand, magnetic steel, pole piece, sound film, sound ring, front cover, terminal board, damping cloth and so on. 1. The magnetic circuit system of the loudspeaker forms a circular magnetic gap filled with uniform magnetic field (the magnetic induction intensity and direction are the same everywhere). 2. 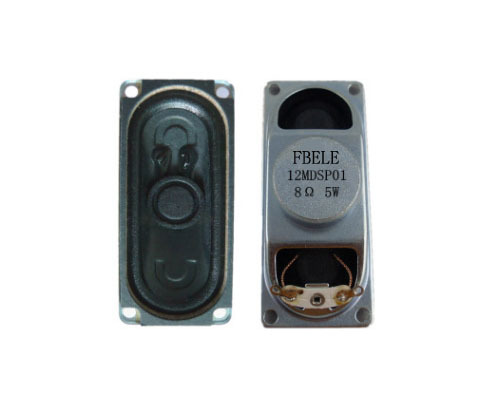 The vibration system of loudspeaker consists of a wire wound around the chengde annular voice coil and a vibration membrane connected to it. 3. When the voice coil is fed into the signal voltage, the current will be generated, and the voice coil will cut the magnetic force line to generate the force, which will drive the vibration film up and down together, and the corresponding sound will be generated when the vibration film moves the air. 4. The whole process is: electro - force - sound conversion. Looking for ideal Tv Internal Speaker Manufacturer & supplier ? We have a wide selection at great prices to help you get creative. 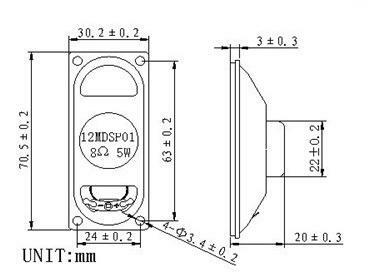 All the 8ohm Tv Loudspeaker are quality guaranteed. We are China Origin Factory of 3070 Loud Speaker. If you have any question, please feel free to contact us.